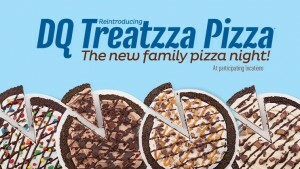 Home » News » Treatzza Pizza is Back! 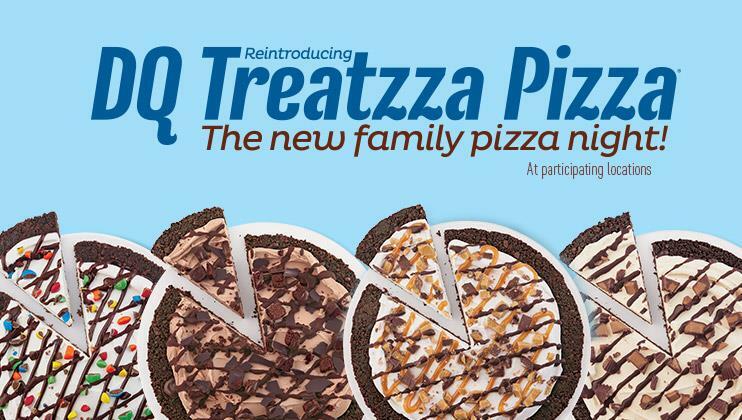 A blast of deliciousness from from the past, Treetza Pizza has returned to DQ! Four outstanding flavors, Reese’s PB Cup, M&M, Choco Brownie, and Heath! Limited flavors available for pick-up or order online at DQCakes.com!